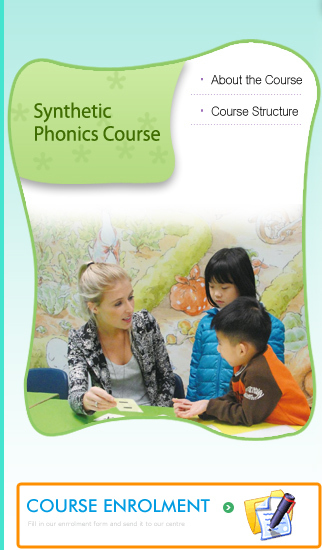 We offer the MLC Synthetic Phonics course for children from 4 to 15 years old Synthetic Phonics has proved to be the most effective way to achieve a good pace of results in spelling, reading and writing. Academic research shows that children taught using Synthetic Phonics methods average reading and spelling performance of around 16 months ahead of their actual age. Their writing performance can be even further enhanced. multisensory approach, it integrates what you SEE (letters) with what you HEAR (sounds) and with what you DO (the kinesthetic approach, which includes manipulating sound cards, flicking phoneme fingers, writing sounds and words). continuous and frequent practice. Children are encouraged to make active attempts to recall what they have learned. Reinforcement and repetition are built in.